Posted on 18 May 2011	by Larry Shaheen Jr.
How much does $393 dollars mean to you? If you own land in Mecklenburg County, it’s about to mean more than you think, as I learned from attending the Meck BOCC meeting last night. Mecklenburg County Manager Harry Jones presented his proposed budget to the Mecklenburg Board of County Commissioners Tuesday night in which he asked for an increase in tax revenue for the county equaling approximately $39.4 million dollars. In order to accomplish this, the county would have to set the property tax rate at 82.49 cents per 100 dollars, which means that if you own property in Mecklenburg County you could see your average tax bill increase. Over 57% of households will see an increase with the average tax increase coming out at $393 dollars. As little as you think about it, that amount just became really important. We as a community have to decide whether we can all live with $393 less dollars in our budget. Much like the rest of us in the Chamber last night, the Board of County Commissioners listened and asked few questions as they digested the information that the county manager had given them. The Commissioners quietly, and without serious controversy, accepted that this was the budget they were being presented with. It seemed like a serene time in the chamber as the budget was presented; almost like the calm before the raucous raging storm that now presents itself. The Commissioners, and our community, will now have to decide whether this tax increase is something we all feel the citizens of Mecklenburg County can live with. We must balance the interests of the citizens who will finance this increase with the need to replace funding to county services strapped for financial support. The lobbying had already begun before the night had started. The Charlotte Mecklenburg Library Board of Trustees had already requested that 2.5 million dollars be restored to the Library budget. 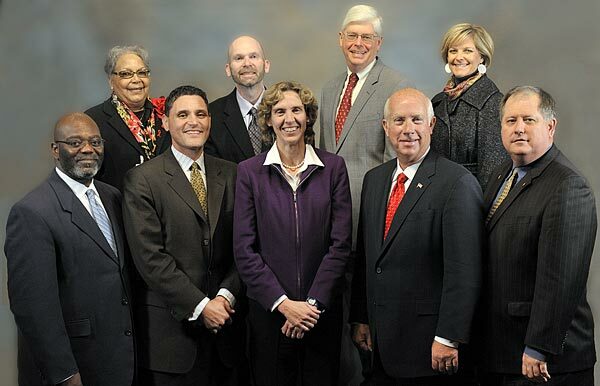 In addition, the Charlotte Mecklenburg School Board had approved a request for an additional 50 million dollars from the county the week before the manager’s proposal. Now that the proposal has been made, and the lines drawn, the decision lies in the hands of the county commissioners who are already deeply divided on this issue. The four Republicans on the Board have already stated that they will not support a tax increase. The vote will more than likely come down on a 5–4 split, with At-large Commissioner Harold Cogdale likely being the only vote that could possibly be in question. If this matters to you, you still have the opportunity to have your voice heard. No matter what happens, whether you support this or not, the commissioners need to know what you think. The county will be holding a budget public hearing to listen to priorities from the citizens on Thursday May 19th, 2011 at 6pm in the Government Center. Sign up to speak here and do so quickly because the deadline is today! If you support this come out and say so. If you don’t support this come out and say so. But whatever you think: come out and say so. We need your voice to help determine what the county thinks. It’s in your hands now. It sounds like you will vote for a tax increase no matter what the voters think, but it should all go to the “children” to save teachers’ jobs and not for merit increases for county employees. I haven’t had a raise in the past 3 years. That is how the tax increase was sold to us! I agree with the assessment that if this was sold as an increase for kids and libraries, but is now being used for staff increases, then there is indeed something not right about it. Make sure you come out and tell them about it tomorrow at the public hearing.